One of New Zealand's largest avocado export companies says diversifying global markets, as opposed to short-term profits, is the key to safeguarding the long-term future of the country's avocado growers. 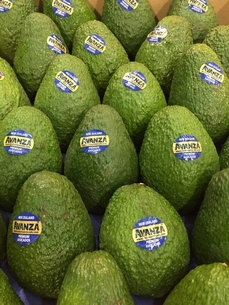 Avanza’s marketing and communications manager, Steve Trickett, says 80 per cent of avocados exported from New Zealand go to Australia, with 20 per cent into Asia and India. Avanza is the brand of two joint venture partners - Primor Produce and Southern Produce - and is responsible for 70 per cent of NZ's exports into the Asian market. He adds that creating these extra markets creates extra security for growers. 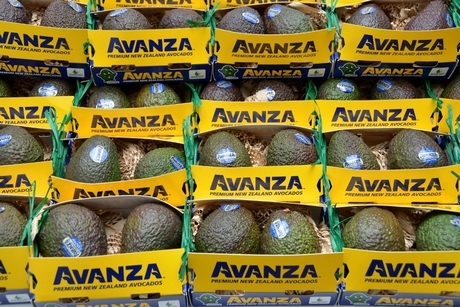 "Avanza parent Avoco exports over 60 per cent of the industry crop, for around 65 per cent of New Zealand growers, so we have the responsibility to be looking at the longer-term future," he said. "Yes, we can sell all of our fruit, as some exporters do, just into Australia and get far better money, but we take the view that we are investing, and our growers support us, in market development. It's future-proofing for the day we have a bigger crop, with a lot of plantings that have occurred, they are going to come on stream and Australia might have a season where they have plenty of crop and say 'New Zealand, we don’t need as much this season, thanks anyway'." Mr Trickett says Korea has overtaken Japan as the fastest growing market for New Zealand, and has good value - while Singapore, Thailand, Malaysia and India are also important destinations. This season Avanza will also operate a program into China under the new brand “Chao niu guo”, after the country gaining market access at the end of last year's season. "It happened right at the end, so we could not run a programme," Mr Trickett said. "So, we've been getting our packhouses audited and signed off, now just waiting for China Customs to give us the go ahead. So that is going to start any day. In year one, China will be around two per cent of what we do, so a small programme to look and learn and test our assumptions. We could sell the fruit to other parts of Asia at higher prices, but we're happy with the medium price. Not a high premium like you'd get out of Korea or Australia, but one that you're happy with that price and you know that you can open up the tap when you need to." Avanza adds that the “Chao niu guo” brand will purposely be a niche product, with a brand story similar to what Zespri has done with kiwifruit, to differentiate it from the produce coming out of Chile and Mexico. He says to the younger consumers the name translates to the "next cool", while the older generation will interpret the brand to be a “super fruit”. New Zealand has a distinct advantage being closer to Asia than their main competitors, with avocados set to reach Shanghai around 10 days quicker than the other countries, which will means fresher fruit on arrival. But Mr Trickett says with the extra volume going into China, promotion and education is vital to ensure demand and consumption. "Yes, the volume is ramping up and there is a bit of price pressure but I wouldn't think it would be enough to crash the market," he said. "As long as investment is going in, as we have done in other markets, and Mexico and Chile have done (in China) in investing in consumer education in health and nutrition. We have worked out on the rate of consumption per capita, we still won't keep up. So, we are confident that with good investment in the market, we will continue to grow demand. We don't want to ever seem to be blasé or not worried about it, but we are always going to back ourselves with a good New Zealand brand story, supported by promotional activities, that consumers will pay a premium for." The company began harvest three weeks ago, and is expecting an "on-crop", but it is not expected to be record volumes, with around 3.6 million trays, which will be up on the 2.2 million last year. "The crop is looking good, good fruit size, clean fruit generally," Mr Trickett said. "To be honest, we could almost put out the 'sold out' shingle before we even start, because we have got more orders than supply. So, the values over all markets will be OK."
Mr Trickett says while he does not observe much movement among the 700 Avoco growers, the procurement of fruit is becoming more competitive in New Zealand, with several exporters fiercely chasing that limited crop. "Growers are generally pretty loyal," he said. "They have to have a reason, or be pretty 'brassed off' to change, but sometimes what is happening is the larger corporate exporters are syndicating, and the older growers are reacting and looking to retire while the value is high and the orchard prices are quite good, so they take the chance to get out. Then the corporates come in and buy them and syndicate."